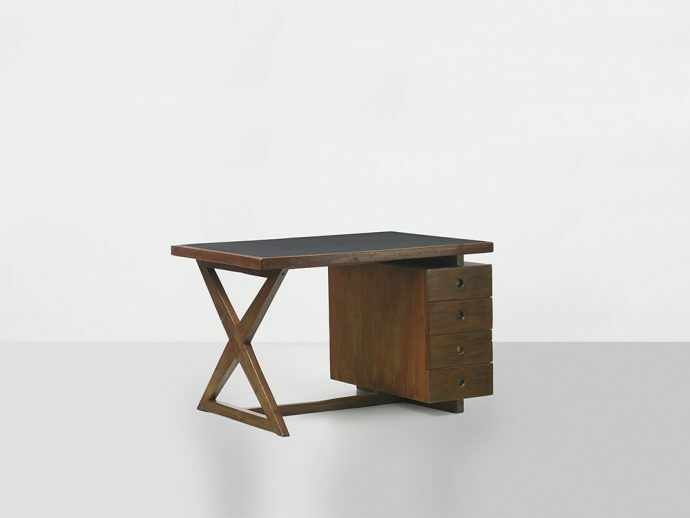 Rare administrative desk designed for administrative buildings, ca. 1960. Solid teak, teak veneer Chandigarh. Pierre Jeanneret designed together with Le Corbusier a new capital in Chandigarh. In the 1950es they created a vision of new living. Great desk from Chandigarh in Paris.